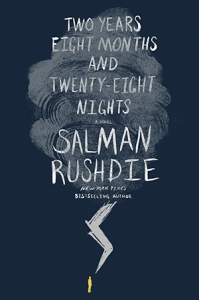 This past September the celebrated and controversial author Salman Rushdie published Two Years Eight Months and Twenty-Eight Nights—his first adult novel since Enchantress of Florencein 2008. Rushdie’s commented that he wondered what it would be like to write a fairy tale similar in style to his two children’s books but for adults. In fact, the novel reads very much likeHaroun and the Sea of Stories and Luka and the Fire of Life, both written for his two sons when they turned ten. Although Rushdie claimed that it “might be the funniest” of his novels, it is actually his most overtly political fiction.